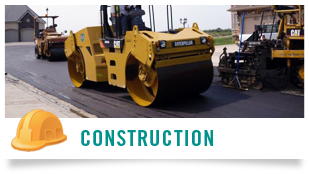 Whether it’s complete parking lot construction, subdivision development or heavy duty rentals, G&J’s experience and knowledge will provide you will the most efficient and effective solutions. 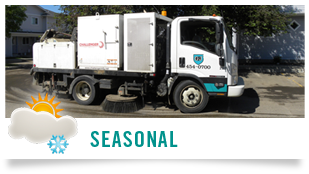 We have the expertise and equipment to help you keep your properties clean and safe with our commercial street sweeping, snow removal, and sanding services. Giving visitors a great experience begins in your parking lot before they ever enter your building. 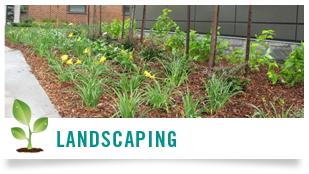 Our landscaping design department would love to meet with you and provide suggestions on how you can add a few touches that will help to decrease maintenance costs and increase the appeal of your property. G&J is proud to be a member of the Edmonton construction community since 1964. Our goal is to provide the absolute best value and top quality service in all areas of parking lot construction and parking lot maintenance in Edmonton and the surrounding area. We have a diverse background with divisions specializing in asphalt paving, gravel lot construction, concrete construction, landscaping, line marking, and earthworks and we also provide seasonal services which include snow cleaning & removal, sanding services as well as parking lot and street sweeping. From the design phase, to construction, all the way to completion, we’re equipped to provide you the services necessary to meet and exceed your expectations.